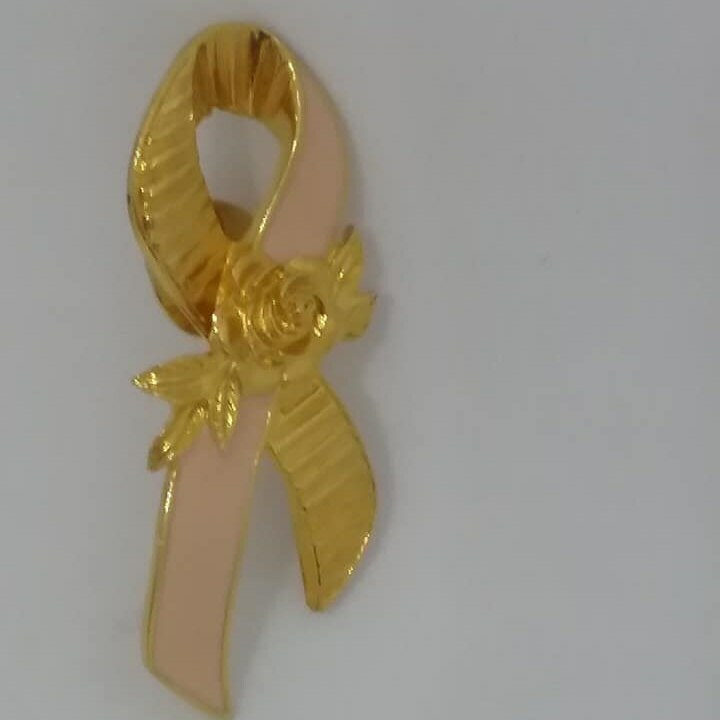 Avon, 1990's, "Better Breast Cancer Care" pin, 2" long. 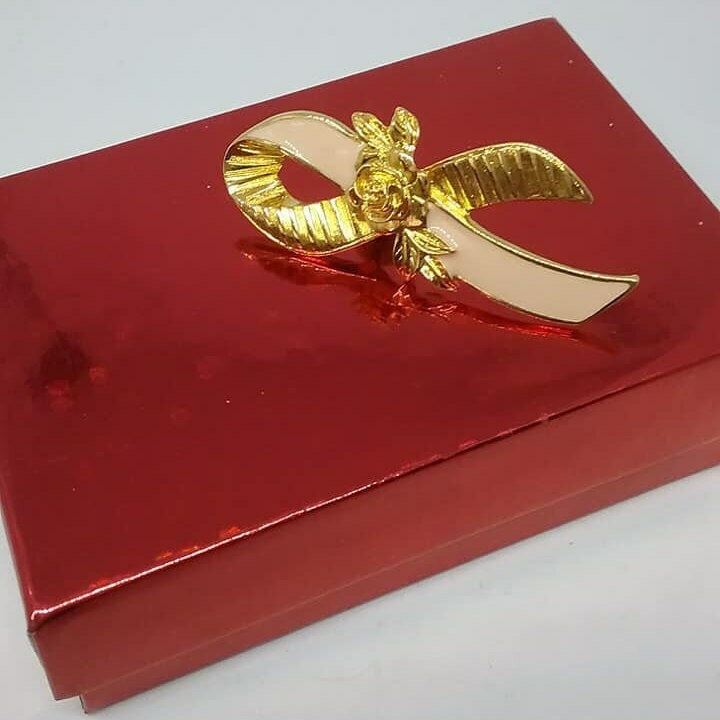 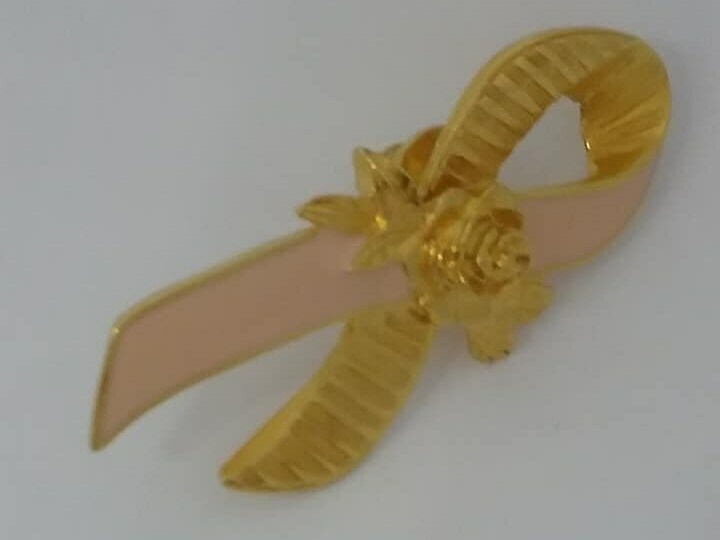 Gold and pink enamel ribbon-like pin, with gold rose in center. 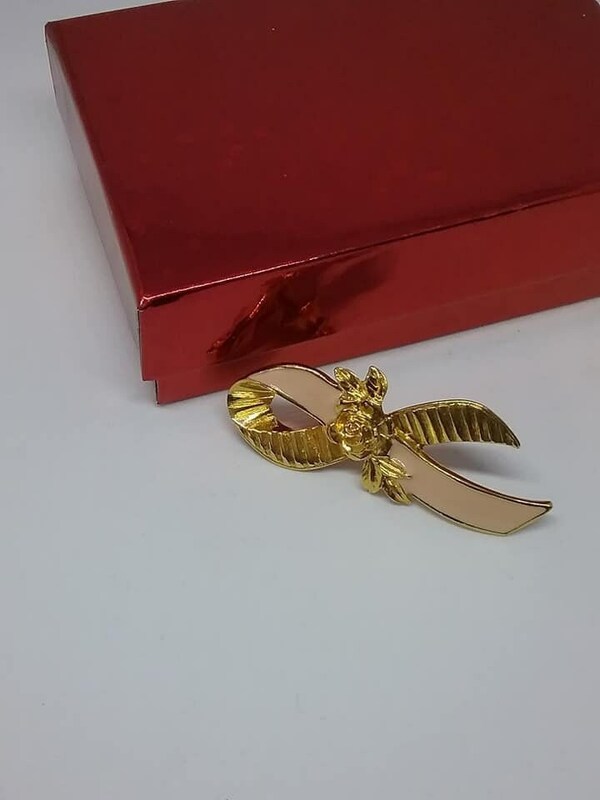 Breast Cancer Awareness campaign 1994. 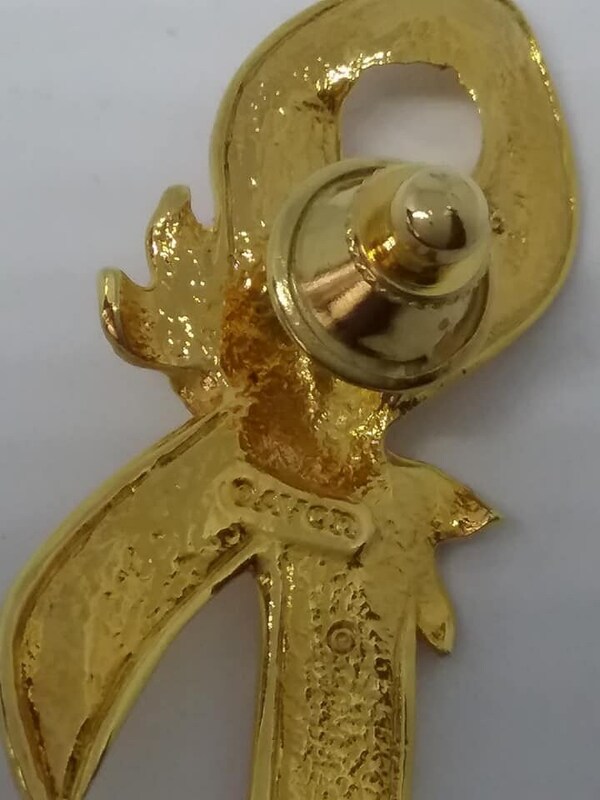 A beautiful reminder of courage.